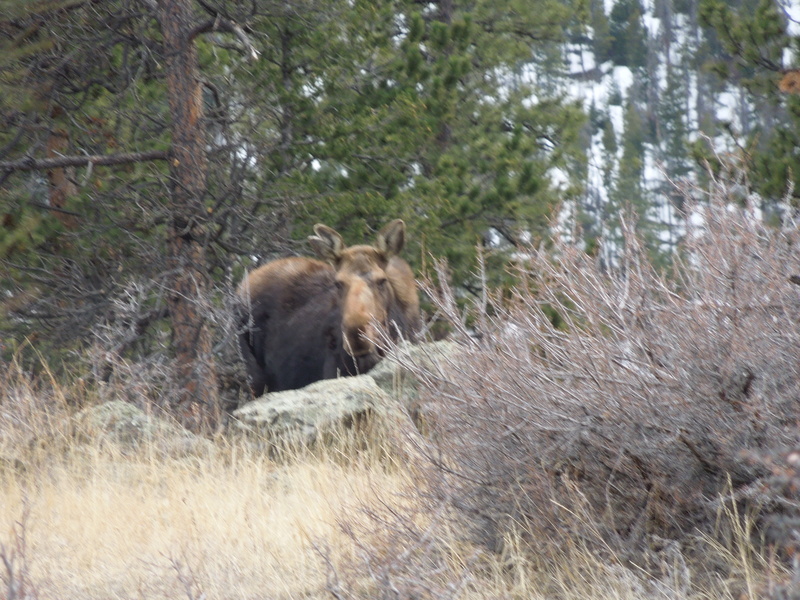 I have lived in the woods my entire life and have never seen a moose. It is one of those things I just assumed would have already happened. 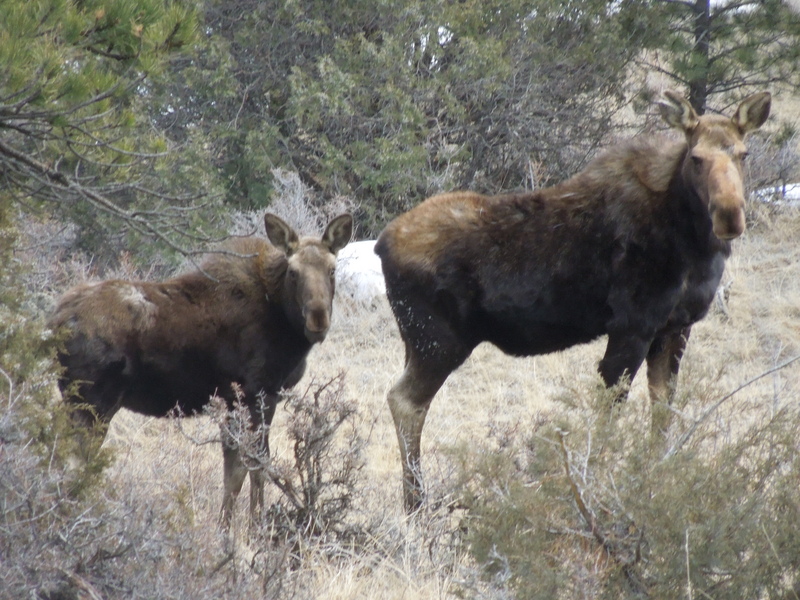 As time ticked on I realized I might never see a moose…but I wanted to see one so so badly! 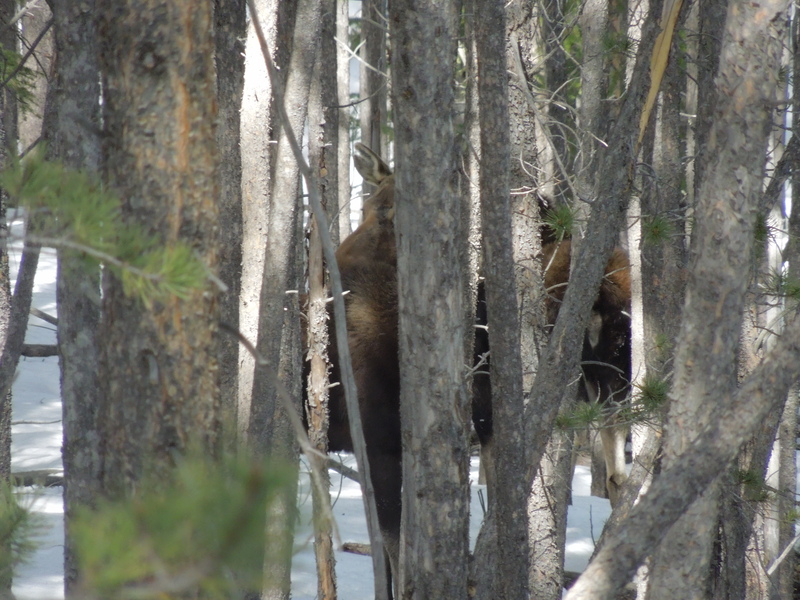 Well, since a moose is something I have always wanted to see, Jared, his dad and I headed off up the mountain to see if we could find them again. 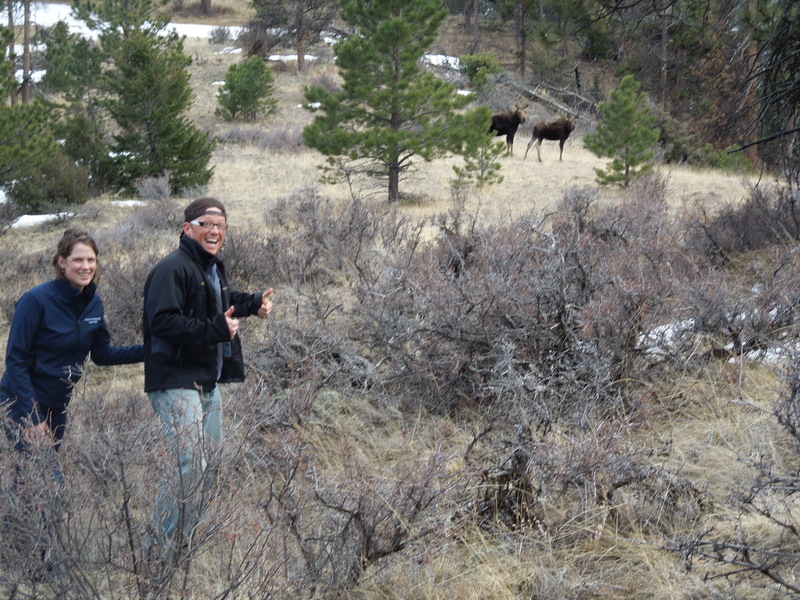 While we were on the hike I assumed we wouldn’t see them since Jared and Mary had frightened them off around the mountain. But what the heck, can’t hurt to go on a little hike I thought. 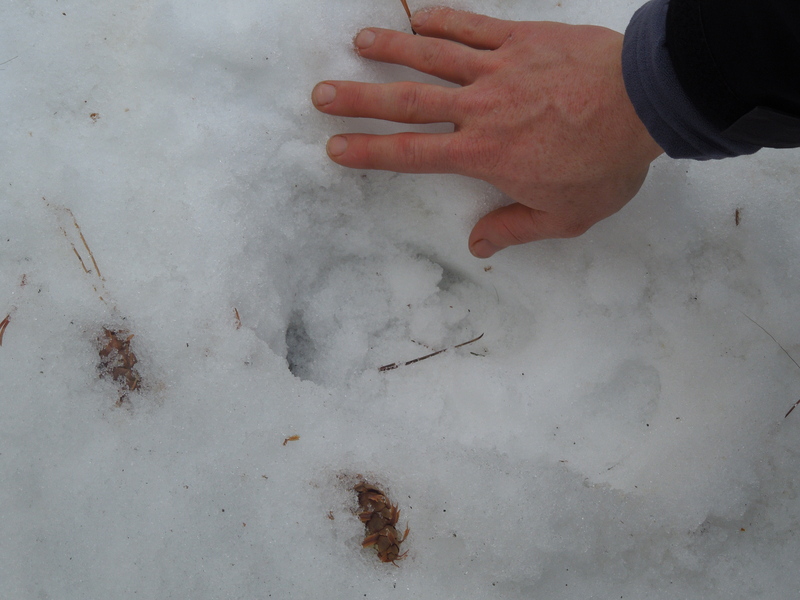 We got to the place where the two moose had been laying down and saw all the fur and hoof prints. Then we headed down the path, following their tracks. This place seems so surreal. The ground was covered in snow and the trees were so thick you had to keep bobbing your head back and forth to see ahead. Jared saw a dark blob ahead of us, then I saw it too. The blob had not moved a muscle so I assumed it was a rock or a tree. Just then, Jared exclaimed that it was in fact the moose! We dodged back and forth getting closer and closer all the while our adrenaline pumping. The moose began to head around the mountain and we didn’t know if we were going to be able to get a good look at the moose. 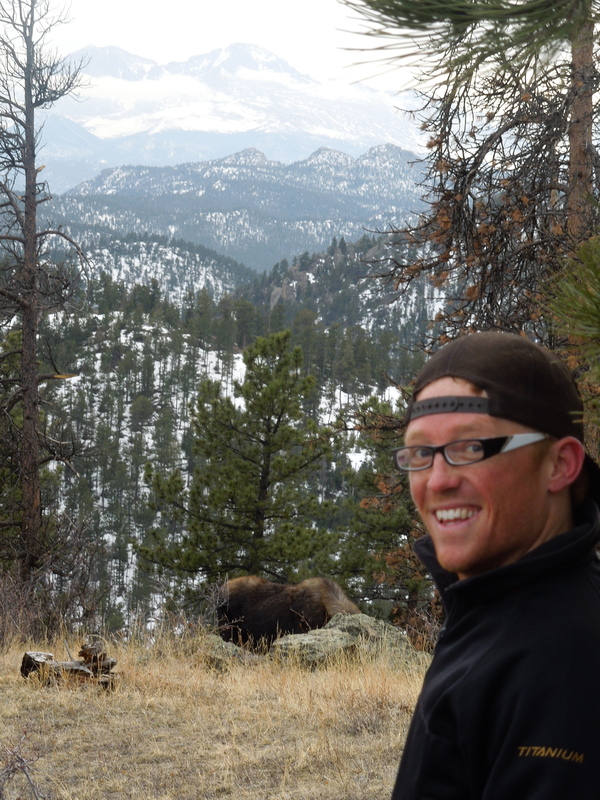 We had Steve head up the mountain with the camera and cut across the way the moose were heading. 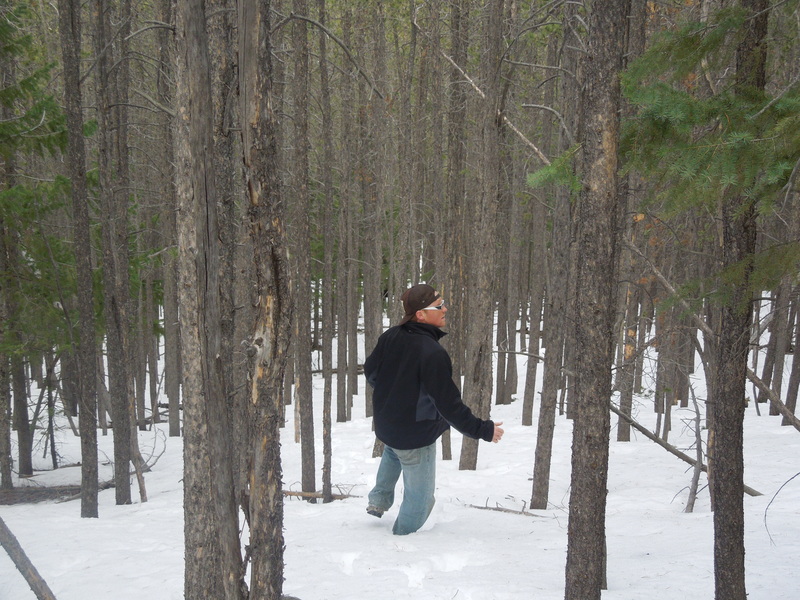 While he did that Jared and I kept following the moose tracks to push them in Steve’s direction. 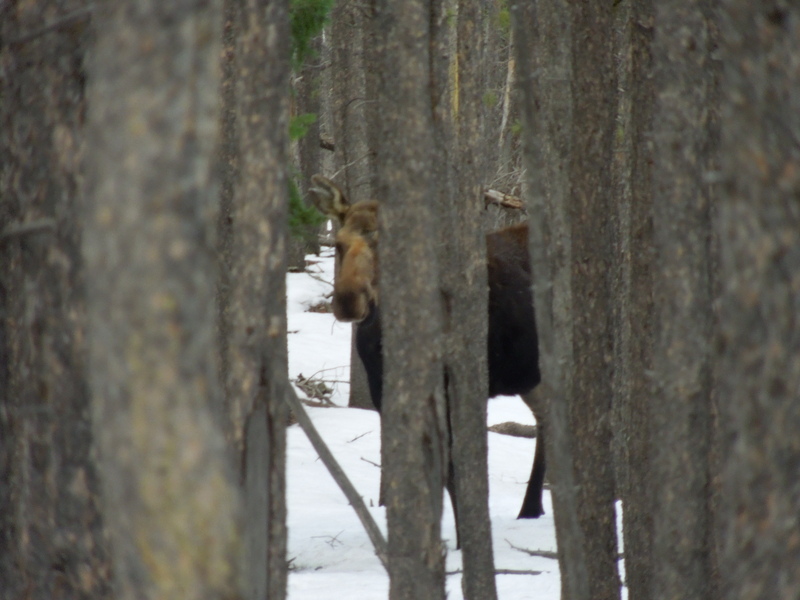 So thankful that I get to check “finding wild moose” off of my bucket list!